Home / blog-en / How did Reinhard Heydrich die? An event related to BCRNe ? 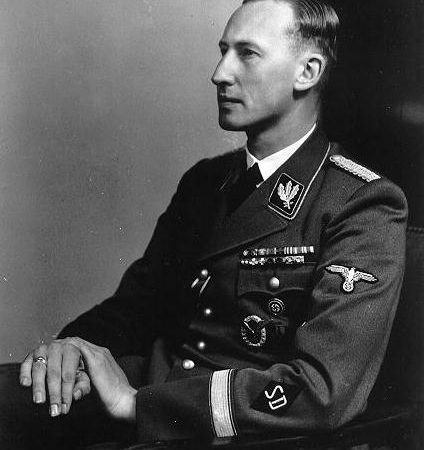 Born in 1904, Reinhard Heydrich, a direct assistant to Heinrich Himmler, was born in 1904. He took part in the “Reichstag fire”(1933) and was one of the craftsmen of the “Night of the Long Knives”(1934). Later, he participated in the framing of violence against Jews during the Crystal Night in 1938. He is considered to be one of the thinkers of the elimination of Europe’s Jews, the Shoah. In 1941 Hitler named him “assistant” to the governor of the Protectorate of Bohemia-Moravia on sick leave. The Czechoslovakian population did not show enough docility, Heydrich he made terror reign, executing 400 people in 2 months. Then 4,000 opponents will disappear. He then began to empty the country of its Jewish population. The documents of this operation, organised by the Special Operations Executive (SOE) of the British Secret Service, have recently been declassified and the medical evidence analysed by Laurent Tatu et al. in this publication: The botulinum toxin legend of Reinhard Heydrich’s death, Neurology, 2017,89,84-87. On May 27,1942, while Heydrich made the same way he did every morning between his home and his offices in Prague, sitting in front of his uncapped Mercedes, two men Josef Gabčík et Yan Kubiš appeared in front of his car, warned of his arrival by a third man Josef Valčík. In charge of shooting Heydrich, Gabčík fails because his gun jammed. Kubiš throws a modified anti-tank grenade at the rear of the car. 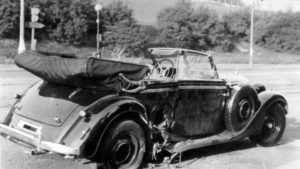 The vehicle was hit and metal debris reached Heydrich’s back. The assailants can then escape but they will die 3 weeks later after a ruthless manhunt very well summarized in the book of Laurent Binet HHhH (Himmlers Hirn heißt Heydrich). Hospitalised at Bulkova Hospital, there was a deep wound of about ten centimetres in the left paravertebral region. The X-ray shows a left pneumothorax, fracture of the 11th rib and metal in the spleen. In the following operation, the spleen was removed, the pancreas was sutured and a peritoneal drain was placed. The patient’s condition improves rapidly, but on June 2, the patient’s temperature rises and the drainage fluid becomes more important. On 3 June, everything seems to be back in order when, in the night, he falls into a coma and dies at 4:30 in the morning. Unfortunately, autopsy was only partially performed as neither the brain nor the cervical region were analyzed and no toxicological analysis was performed. Analysis of this report could lead to the hypothesis of pulmonary embolism with heart failure in a condition aggravated by infection: non-hemolytic streptococci, Staphylococcus and Proteus were identified in the drainage fluid. It was in the 1970s that the first statements were published concerning the possible use of botulinum toxin during the Anthropoid operation. 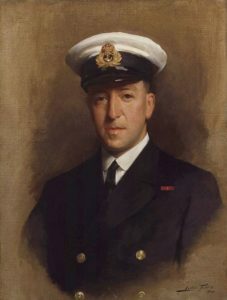 According to the bacteriologist Paul Fildes (1882-1971), it was he who managed to fix botulinum toxin on the grenades that reached Heydrich. During the Second World War, he worked at the secret base in Porton Down near Porton, UK. As a reminder, he also took part in studies to develop the Anthrax bomb that contaminated Gruinard Island. Nevertheless, there is no document or physical evidence to confirm or even refute this hypothesis. The laboratories that analyzed the grenades left on site did not find any trace of toxin. Moreover, at the semiotic level, Heydrich never suffered after the attack, neither diplopia, dysphagia, muscle weakness, nor even respiratory insufficiency, signs characteristic of botulism. In addition, Yan Kubiš himself was wounded by a grenade fragment, did not show symptoms of the disease until he was killed, and a woman, also suffering from a shard, lived several years later without any damage. The photographs of the grenades raised doubts about their contents. 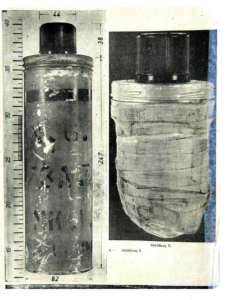 These are anti-tank grenades that have been modified: the lower 2/3 were removed and the whole was wrapped in adhesive paper. Everything suggested that the grenades had been prepared at Porton Down and botulinum toxin had been introduced into vials fixed with adhesive. In fact, access to the British archives has just shown that the grenades were not prepared in Porton Down but by the secret services themselves. The grenades had been cut to make them smaller and lighter. These grenades were actually intended to immobilize and provoke the opening of the vehicle in order to kill Heydrich with the weapon that did not work. It is hard to imagine that a single piece of scotch could protect a dose of toxin during the parachute jump of the fans! On the left a British anti-tank grenade No. 73 and on the right a modified grenade used in the attack on Heydrich (Tatu et al.). Later we learned about the development studies of weapons containing botulinum toxin, carried out jointly by the biologists of Camp Detrick (USA) and SOE, but they did not really begin until March 1942, i. e. after the parachuting of the 3 partisans to Prague. So they couldn’t take that new weapon with them. Paul Fildes was known for his boasting and eccentricity but nobody knows why he invented this role in Heydrich’s assassination. In any case, personally and on the basis of real scientific publications, I have taught many generations of students this original version of the facts that could be considered an innovative act of biological warfare! The story was too beautiful!